Tradition plays an important role both in culture and its preservation. As we globalize our behaviors, clothing, language and digital experiences, we often forget about the traditions that former generations have passed on; traditions that carry great weight in defining who we are and how we relate to one another. 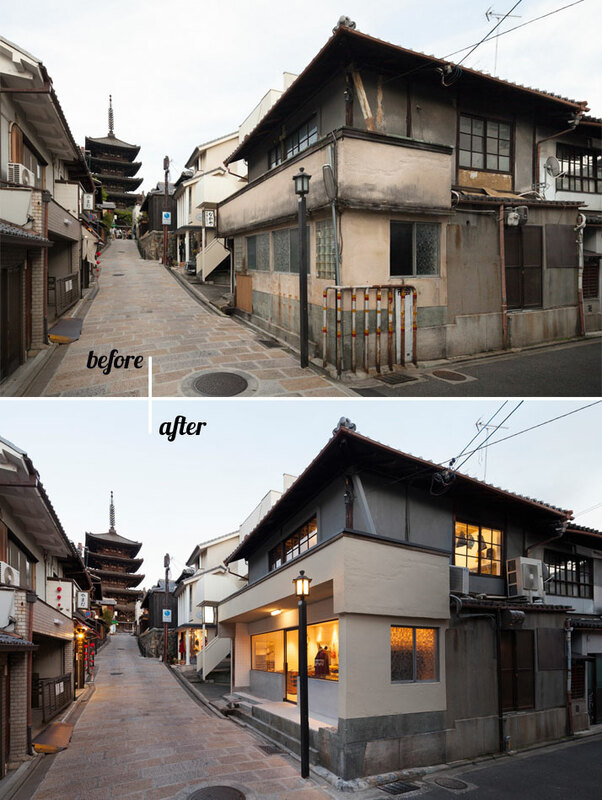 Located at the foot of the Yasaka Shrine (å…«å‚ç¥žç¤¾, Yasaka-jinja) in the Gion District of Kyoto, Japan, a new store has made its mission to re-introduce Kimono culture back into the lives of the city’s inhabitants. 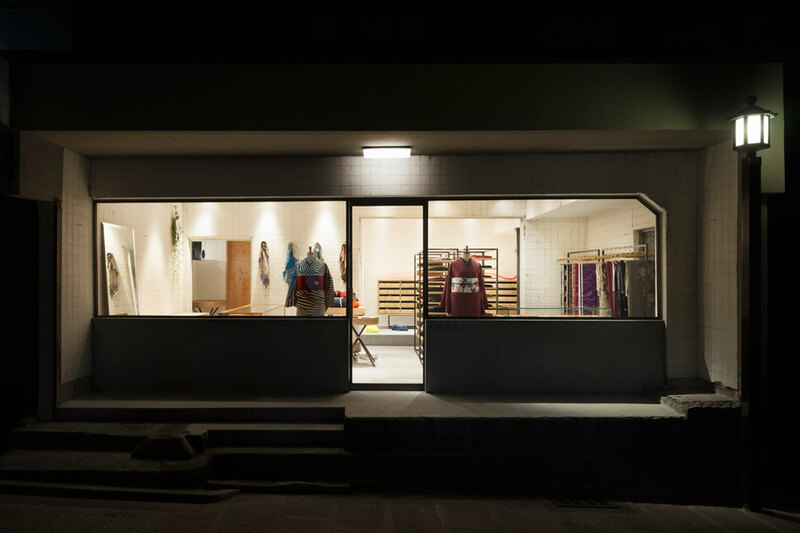 The Otsuka Gofukuten store itself specializes in Gofuku (also known as Kimono), a traditional garment in Japanese culture that has characteristically varied widely in terms of price, style and quality. Often reserved for Japanese high society as something worn for special, formal events, these garments and their purchase often confused would be buyers with the somewhat opaque pricing system that was used. 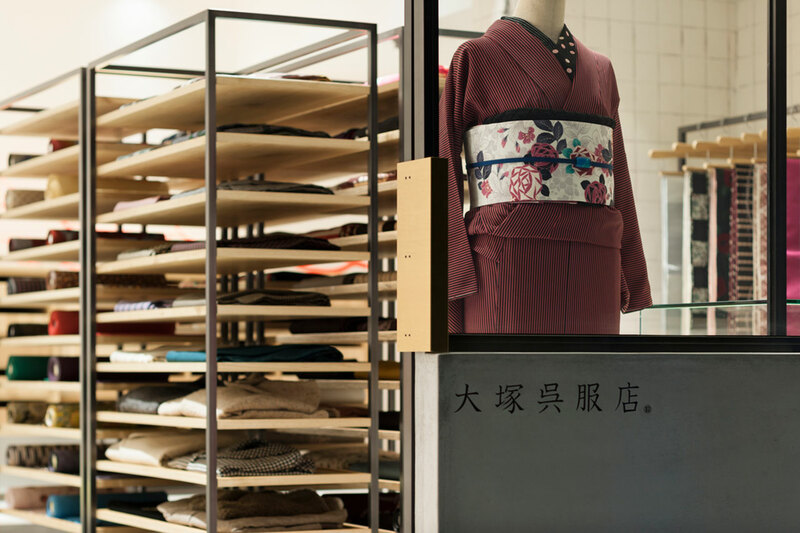 The days of ambiguity for the kimono are now over as the store’s (Otsuka Gofukuten) clear 3-step price system allows new customers to choose the suitable product and compare it to other traditional kimono stores. 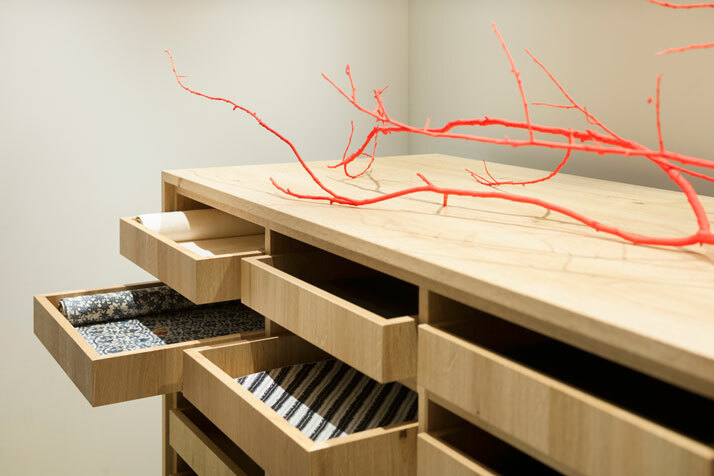 The interior design components compliment this line of thinking through the three different showcases for the differing kimonos: price range, frame and material. 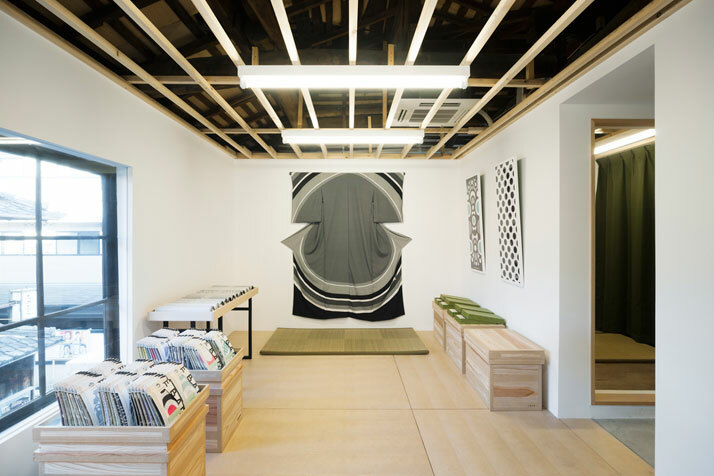 Japanese architectYusuke Seki who is familiar to our readers through his recent collaboration with Jaime Hayon not too long ago, has designed the space to appeal, invite and communicate the history, tradition and role of kimonos to everyone who enters the store. 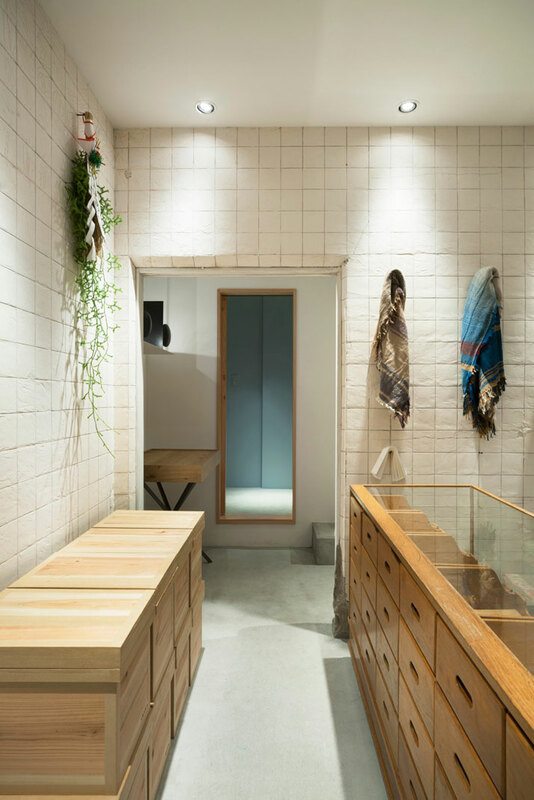 The Otsuka Gofukuten storefront invites passerby into a warm space filled with a neutral palette where the fabrics are given the space to lead the buying experience. The main design concept uses aspects from the past and introduces new hand craft towards a new design for the future. Custom designed shelves, tables and sideboards show the craftsmanship and details of a fascinating furniture tradition turned on its head and presented in a new way. Older world details in the original designed shelves with knotted feet, display other kimono products. 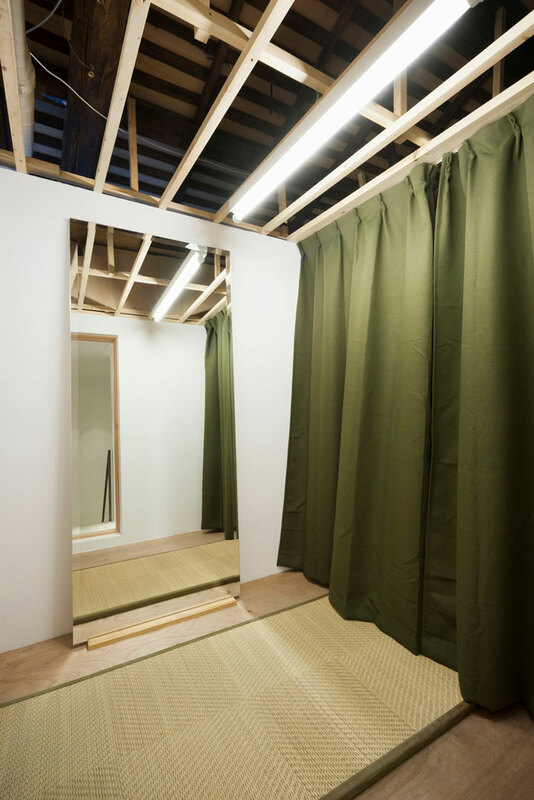 Upstairs, the second floor opens up to a gallery space with kimono related modern art and design works exhibition. 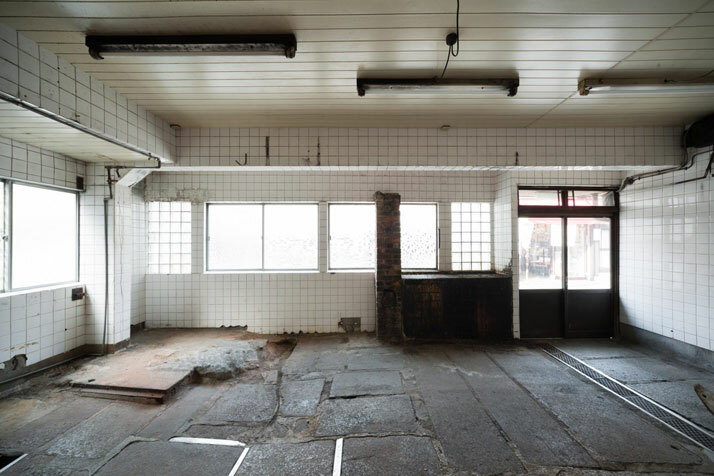 â¨â¨The design method captures the design language from the property’s prior tenants, translating this through materials, architecture and function, thus adding value to the project. 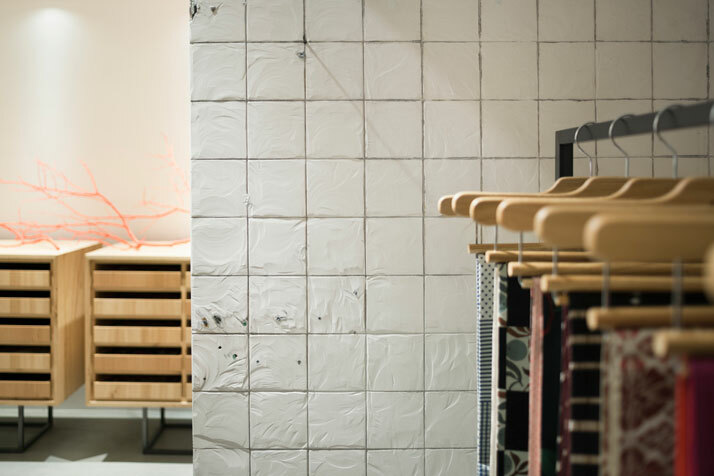 The white tiles from the previous Tofu store, add texture, thus creating a subtle grid in an otherwise blank canvas. 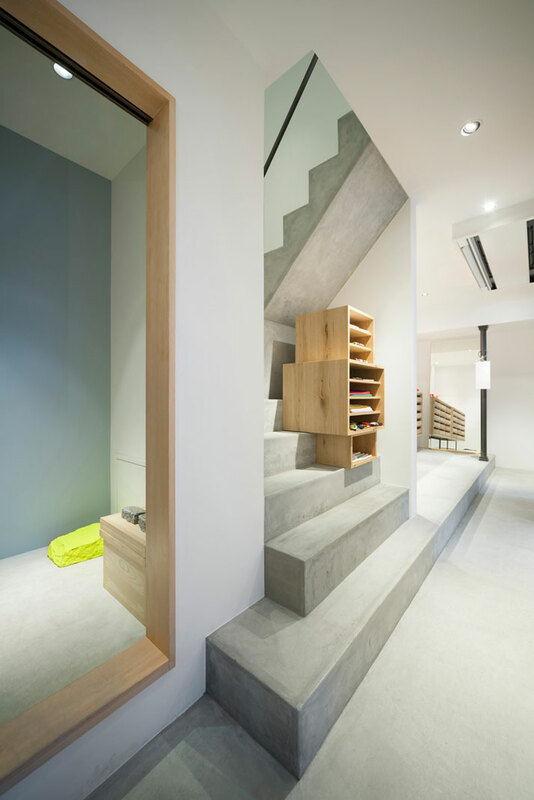 All the aspects of this space have a story which when combined, add to the overall details of the store. Taking on a new life, after having been a relic of the past, they mirror the theme of this new approach to Kimono design and wear.